George Gross was born February 16, 1909 in Brooklyn. His parents, David and Serena Gross, were both young Jewish immigrants from the city of Szeged, Hungary. They married in 1908 and raised three children, George, his younger brother Arthur, and youngest sister, Beatrice. The family lived at 105 Bay 29th Street in Brooklyn. The father, David Gross, attended Pratt Institute and had a successful art career in the fashion industry. The father owned and operated a midtown art studio called Fashion Paper. One of his best clients was the popular Montgomery Wards mail order catalog. 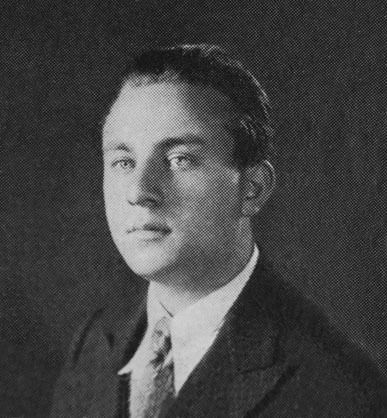 In June of 1927 George Gross graduated from high school. That fall he began to attend Pratt, as his father had before him. In June of 1931 George Gross graduated from Pratt. Even before graduation he worked for his father at Fashion Paper. He was soon joined by both of his younger siblings, Arthur and Beatrice Gross. The Gross family business provided George with a uniquely practical approach to commercial illustration. 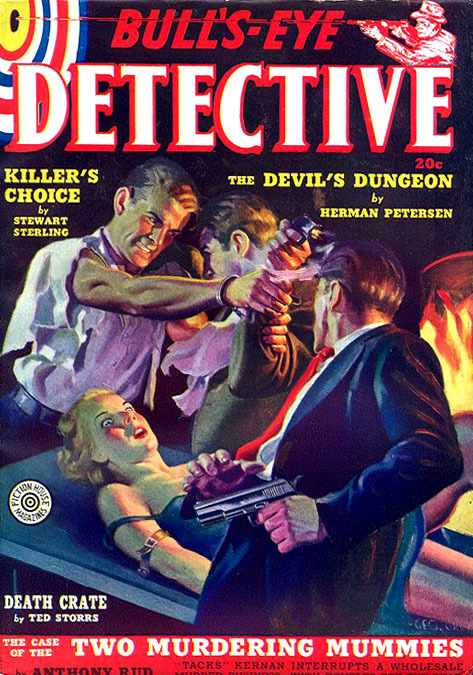 His first pulp cover assignments were for Mystery Novels Magazine and Double Action Western, which were produced by Winford Publications. George Gross next found work at Fiction House, where he became their top cover artist. 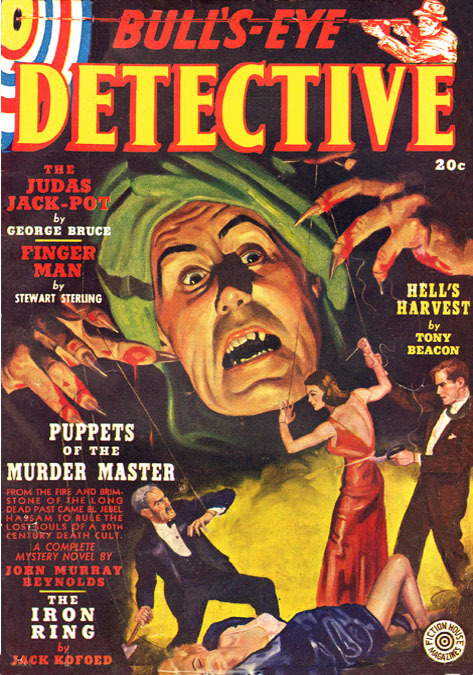 He painted dozens of freelance pulp covers for Fiction House pulps, such as Action Stories, Air Stories, Baseball Stories, Complete Northwest, Detective Book Magazine, Fight Stories, Football Stories, Jungle Stories, North West Romances, and Wings. 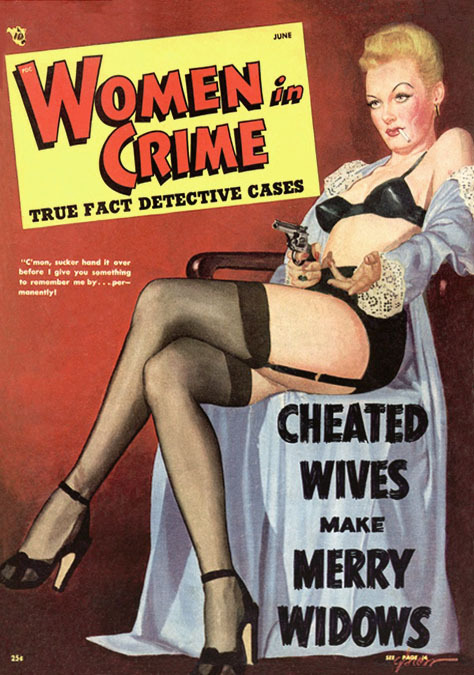 He also sold pulp covers to A. A. Wyn's Periodical House, for titles such as Ace Sports and Western Aces. In 1936 the father formed a new art agency, called the Nangro Ferrod Studios, at relocated to 15 West 38th Street in Manhattan. George Gross shared his studio space at this company with his brother and sister. 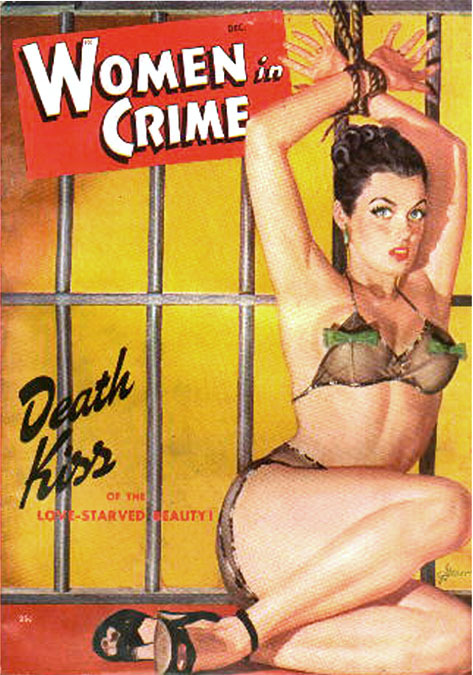 He produced all of his pre-war pulp covers at this studio. 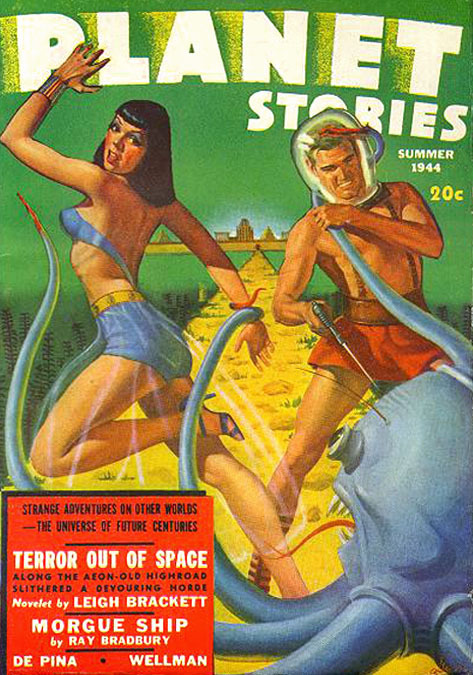 His brother, Arthur Gross, drew pen and ink story illustrations for pulps produced by Fiction House, Popular Publications, Winford, and Ace Publications. In 1940 George Gross married his Dora Gross. She was born February 1, 1906 in NYC. The married couple moved to Flushing, Queens, and also bought a Summer home in Milford, Pennsylvania. They had one son. In 1942 George Gross reported to his draft board for induction in WWII. Although his age was thirty-three, he was disqualified from military service because of a lifelong serious impairment of vision in his right eye, which effected his depth perception and required corrective glasses. 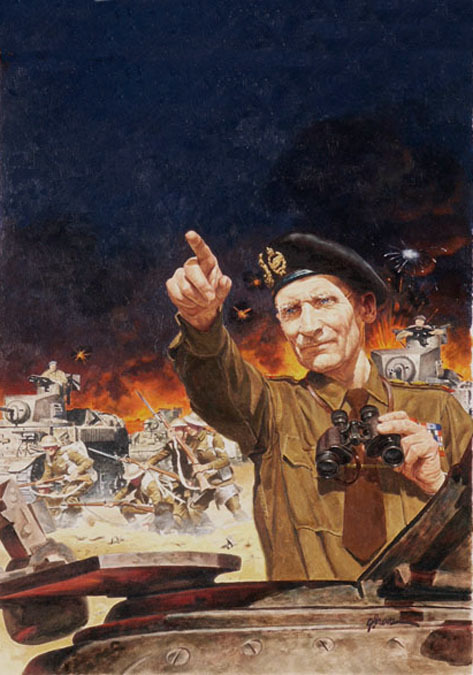 After the war George Gross began to sell freelance illustrations to paperback books from such publishers as Dell, Star Books, Lion Books, Bantam, Berkley Books, Cameo Books, and Ace Publications. In the 1950s George Gross shared an art studio with the illustrator, Mort Kunstler, on White Street in the Tribeca warehouse section of Lower Manhattan. 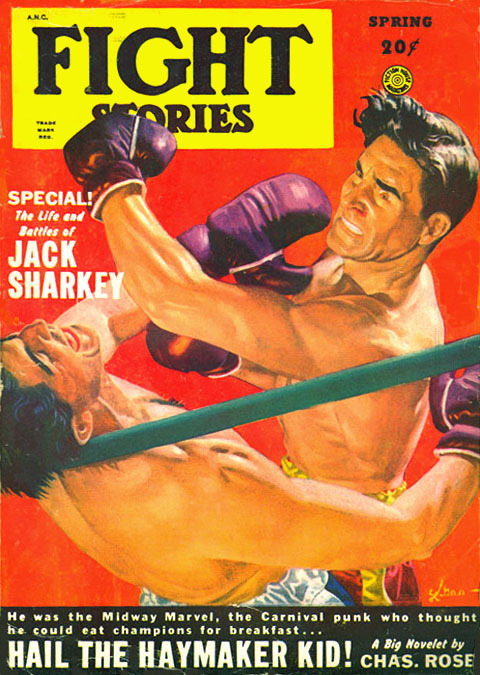 In the 1960s he worked for men's adventure magazines, such as Male, Cavalcade, Action For Men, Argosy, Bluebook, Man's Conquest, Man's Illustrated, Man's World, Real, Saga, See, Stag, and True Adventures. On August 22, 1972 the wife of George Gross, Dora Gross, died at the age of sixty-six. In 1974 George Gross married his second wife, Gidget Gross. They moved to Rockaway, New Jersey. 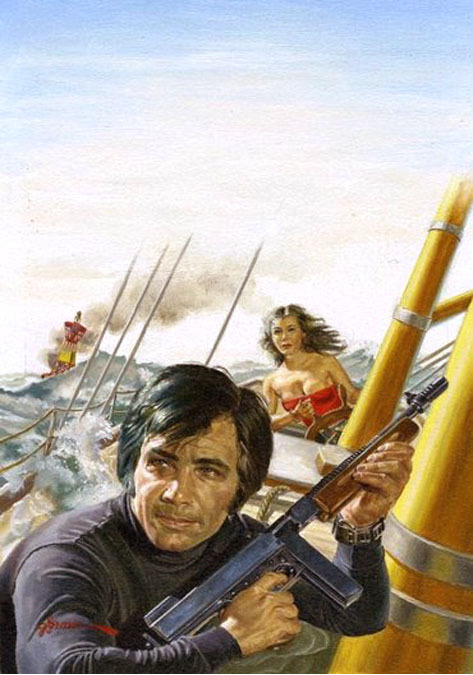 In the 1970s George Gross painted covers for The Avenger series of paperback books, published by Warner Paperbacks. 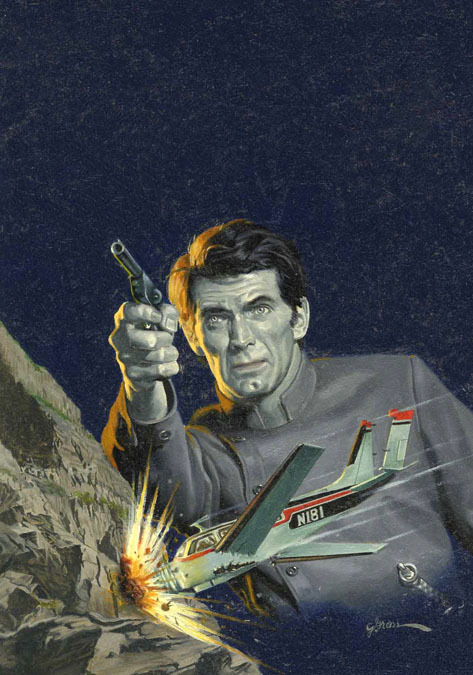 In the 1980s he painted covers for the popular Nick Carter series of paperbacks for Ace Publications. 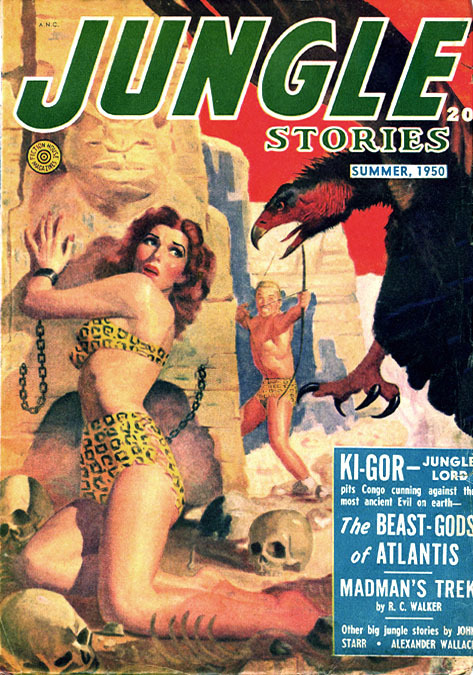 According to the author Bill Cox, "George Gross could do exciting paintings even when there were no scantily clad damsels around, and what's more amazing, Fiction House let him!" George Gross died at age ninety-four on February 23, 2003.